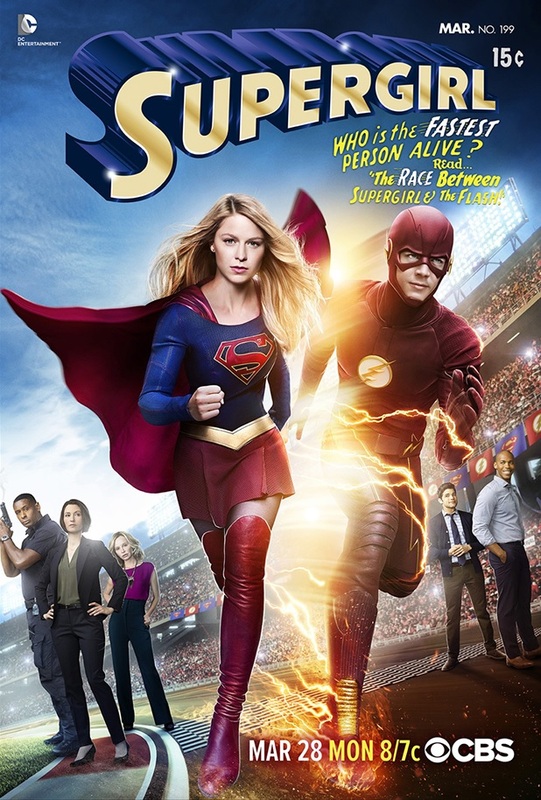 As we are getting super-close to the upcoming crossover between Supergirl and The CW’s The Flash, CBS released today a epic poster featuring the Girl of Steel and the Fastest Man Alive together in a comic book fashioned cover as Melissa Benoist and Grant Gustin have a race together! 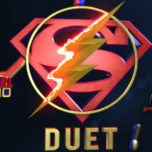 We also got the official episode description for the episode which will be titled “Worlds Finest” and it reveals exactly how Barry Allen will be crossing over into this Earth and the synopsis also confirms the epic villain-team up featuring Livewire and soon-to-be Silver Banshee! Supergirl stars Melissa Benoist (Kara Danvers/Supergirl), Calista Flockhart (Cat Grant), Chyler Leigh (Alex Danvers), Mehcad Brooks (James Olsen), David Harewood (Hank Henshaw/J’onn J’onzz), and Jeremy Jordan (Winslow “Winn” Schott). Recurring guests in “Worlds Finest” include Jenna Dewan-Tatum (Lucy Lane), Chris Vance (Non), Italia Ricci (Siobhan Smythe), Brit Morgan (Leslie Willis/Livewire), Christopher Showerman (Tor), Jay Jackson (News Anchor), and Dan Warner (Fire Captain). Supergirl returns Monday, March 14, 8/7c on CBS.